Our hoodie dress is the perfect combination of Jawbreaker style and alternative street wear. 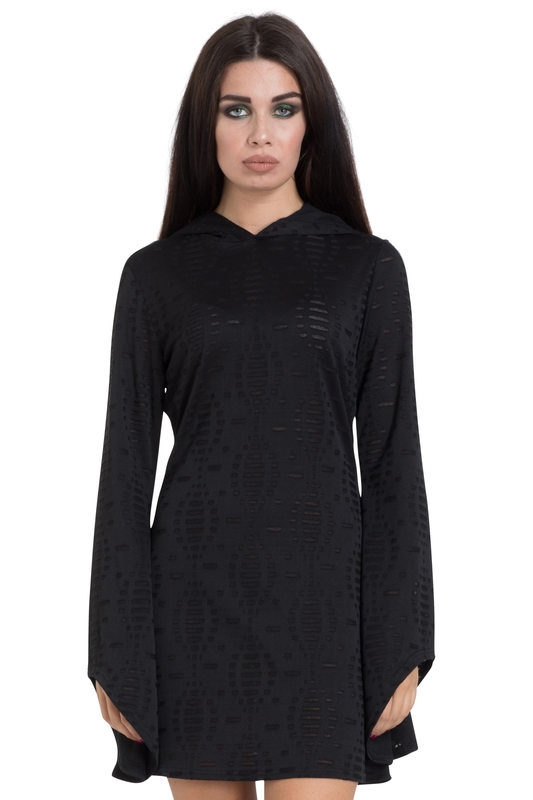 All black and all gorgeous it features dramatic bell sleeves and that all-important hood. This one’s the understated piece that’s ticking all our alt. fashion boxes.